This circa 1825 building, the "Old Factory Store", is located in downtown Franklin, Tennessee. For many years in its later life the building housed Dotson’s Restaurant before falling into severe disrepair. 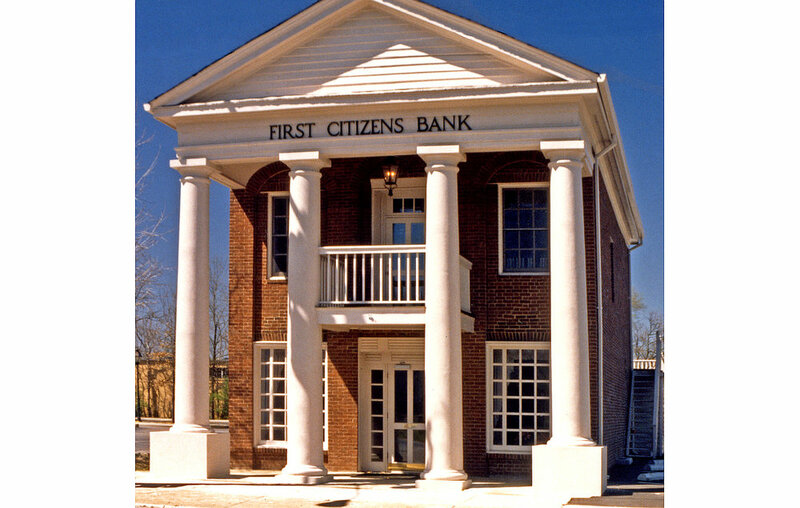 Kline Swinney Associates worked closely with the Heritage Foundation of Franklin & Williamson County and the owner to restore the building while converting it for use as the main office for a local bank. Additionally, we assisted the owner in having the structure placed on the National Register of Historic Places.